A new episode of Arrow titled “Lost Canary” airs tonight (April 15) on The CW, and The CW has released a preview clip to promote it! 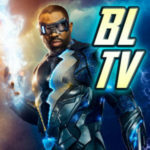 NOTE: Arrow is now on ONE HOUR LATER, at 9PM ET/PT following Legends of Tomorrow, where it will remain for the rest of the season, unless The CW changes their minds and flips things again. Sara (Caity Lotz) is back from the Waverider of DC’s Legends of Tomorrow to help Felicity (Emily Bett Rickards) to knock some sense into Black Siren (Katie Cassidy Rodgers) and get her away from her evil BFF Shadow Thief to protect the real Laurel’s name. There are some callbacks to Arrow Season 2 which here, which is always welcome. Below the clip you can find an official description and preview images. BIRDS OF PREY; CAITY LOTZ GUEST STARS — After being accused of murder and having her criminal past exposed, Laurel (Katie Cassidy Rodgers) goes full Black Siren and teams up with an old criminal acquaintance, Shadow Thief (guest star Carmel Amit), to go on a crime spree around Star City. While Dinah (Juliana Harkavy) aims to bring Laurel in, Felicity (Emily Bett Rickards) refuses to give up on her friend and tries everything to get through to her, even summoning Sara Lance (guest star Caity Lotz) for help. However, Laurel rebuffs all her efforts, forcing the former friends to face off against each other. Kristin Windell directed the episode written by Jill Blankenship & Elisa Delson (#718). 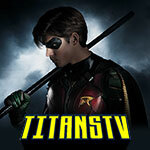 Original airdate 4/15/2019. 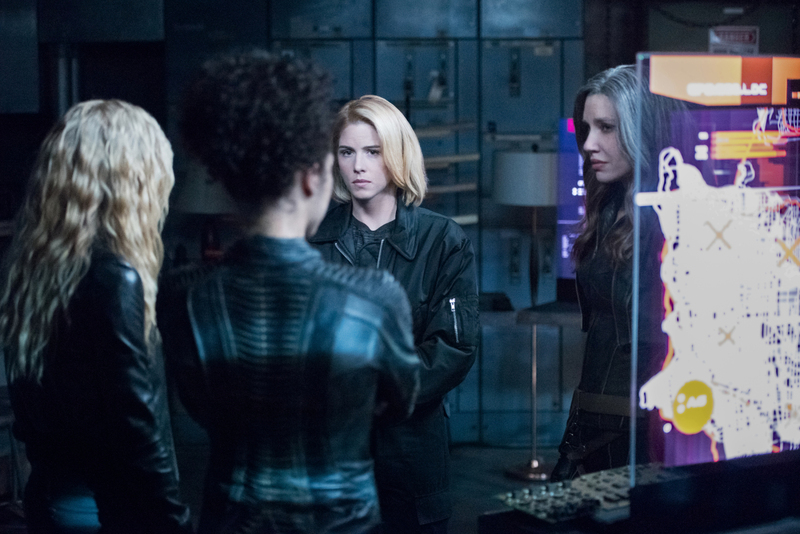 Arrow -- "Lost Canary" -- Image Number: AR718A_0135r.jpg -- Pictured (L-R): Katherine McNamara as Mia/Blackstar, Andrea Sixtos as Zoe Ramirez, Emily Bett Rickards as Felicity Smoak and Juliana Harkavy as Dinah Drake/Black Canary -- Photo: Dean Buscher/The CW -- ÃÂ© 2019 The CW Network, LLC. All Rights Reserved.